We inherited a big marjoram bed, which has gone from strength to strength. 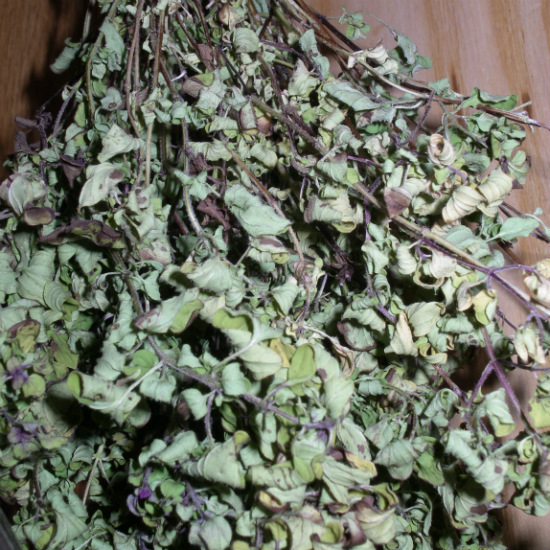 Some herbs, like parsley and basil, are great frozen to tide us over the winter, but this marjoram has done brilliantly tied into a bunch and hung over our faithful (if a bit enigmatic) stove. The colour and taste have preserved well and this year I’m grabbing it straight from the bunch whenever I need a bit of flavour.